Right, we’re determined to make sure that you’re all set for ideas for Father’s Day on Sunday 16th June, so we’ve carefully curated some of the coolest gift ideas for your beloved dad! Today we’re having a little gander at some gift ideas for the dad that loves coffee, we all know the type…the one that tells you you’re brewing it wrong and admonishes you for going near anywhere near your coffee cup with a splash of milk. We’ve rounded up a mighty fine selection of our favourite gifts for any budding barista dad below! A cute and affordable little filter coffee maker that’d be ideal for the office. Just pop the filter in the top for a superior tasting drip-coffee, much better than any of that instant malarkey. 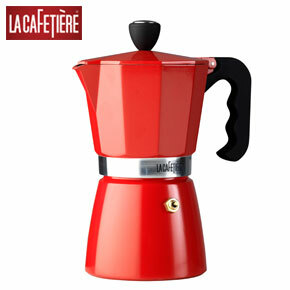 They say that the most superior way to brew coffee is with a stove-top espresso maker. Simply load the coffee into the container in the base, screw the top section on and let the steam travel up through the freshly ground beans and distil in the top segment. Divine! Your dad will need somewhere to keep all those coffee beans right? If he’s the sort of father that knows his Arabica from his Robusta, he’ll definitely appreciate this gorgeous storage jar that keeps them in sight and makes a gorgeous kitchen counter feature. Brew your coffee in style with this space-age looking stove-top espresso maker. 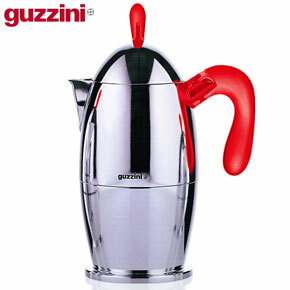 Shining up a storm, this is a gorgeous minimal addition to any coffee lover’s kit. 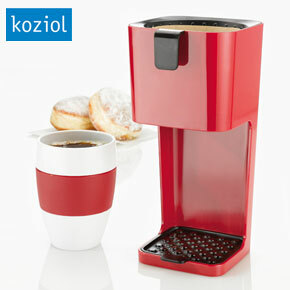 Seriously stylish, the cafe solo red coffee maker is a gorgeous looking perculator with it’s own red cosy jacket. Alongside the modern aeropress, this coffee maker is an indie coffee shop staple. Enjoy every last sip of your rocket fuel with these red and white espresso cups. 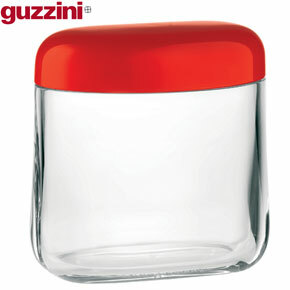 Made by Italian brand Guzzini, you’ll be transported to an Italian veranda with these cute little espresso mugs. Nearly everyone has gazed in wonder at the temple of Nespresso pods that grace every Selfridges branch. Get your dad a super cool gift with this coffee machine that makes coffee shop coffee instantly achievable at home with minimal fuss. You can’t have an espresso without those tasty little almond morsels, it just wouldn’t be right. The daddy of all coffee machines for Father’s Day. This ladies and gents, is the Ascaso Dream machine and it ain’t called Dream for nothing. This gorgeous looking coffee machine is akin to the ferrari of the coffee world. A luxurious gift for the ultimate coffee lover, we think so. Father’s Day Gift Ideas from Red Candy!